Check this page for more information on my private tours in Porto or simply send an email to sara@portoalities.com. Travel agencies and magazines keep bragging Porto for its nightlife but the city is a great destination for families with kids, too. 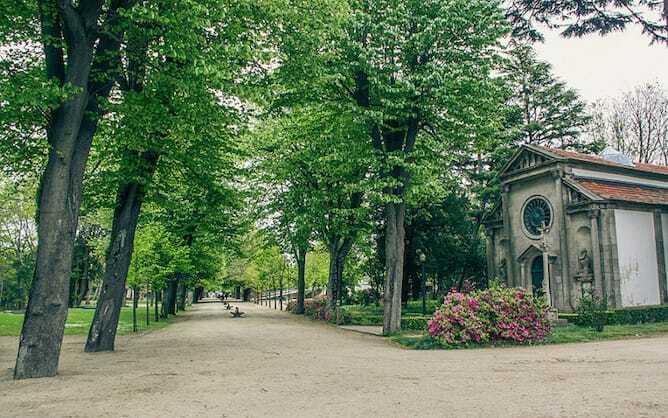 Porto has some beautiful gardens which are ideal for families with kids. I have two recommendations for you. One is the Crystal Palace Gardens at Downtown Porto. The Crystal Palace gardens have free entrance and a large Tilden avenue where it is easy to ride a baby stroller. There are a lot of peacocks, ducks and roosters that children like to chase 🙂 It has a lot of shadows and places for you to sit down for a while. To go there is definitely one of the best activities in Porto for families with kids! How to get there: These bus lines stop nearby the Crystal Palace gardens: 200, 201, 207, 208, 303, 500, 501, 507, 601. Get the itineraries here. My second recommendation is Serralves, a contemporary museum designed by the famous Portuguese architect Siza Veira, that has an immense garden. Usually parents visit the museum with their kids and then visit Serralves’ park, which is absolutely gorgeous! It has large lanes where it is easy to ride a baby stroller, as well as a lake and several animals. You can buy the online ticket to Serralves contemporary museums and gardens, and this way you avoid the queues. It’s perfect! How to get there: Bus lines 203 and 207. Check its itineraries here. I usually go there just to enjoy the otters’ tank – don’t make fun of me! 🙂 Gaia Biological park also has replicas of typical rural houses, granaries and barns. At Gaia Biological park it isn’t possible to make picnics, but they have a cute little restaurant for reasonable prices. 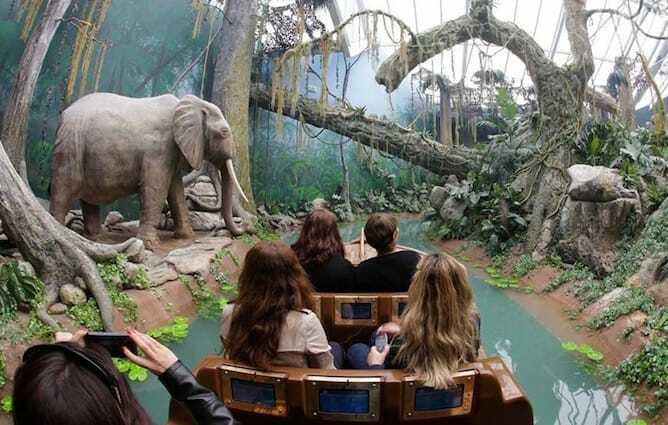 Spending the day at Gaia Biological park is definitely one of the best activities in Porto for families with kids! There is also a family ticket for 7,50€ that covers the entrance of up to 6 people, it’s really worth it! How to get to Gaia Biological park: The most practical way is to drive to the park. If you need to take a public transport, go to Praça da Batalha, in Downtown Porto, take a bus from MGC Transportes to LEVER/MOSTEIRÓ/CANEDO or Crestuma. Ask the driver to leave you at Gaia Biological Park. Zoo Santo Inácio is something else. 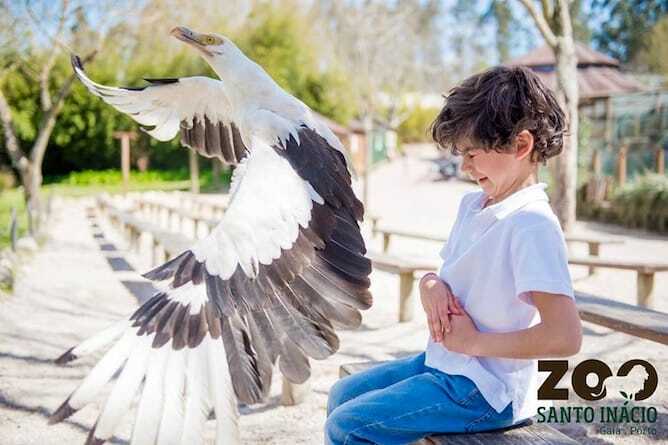 There, you can not only see the wild animals but also indulge in activities with your kids such as feeding penguins and lemurs. 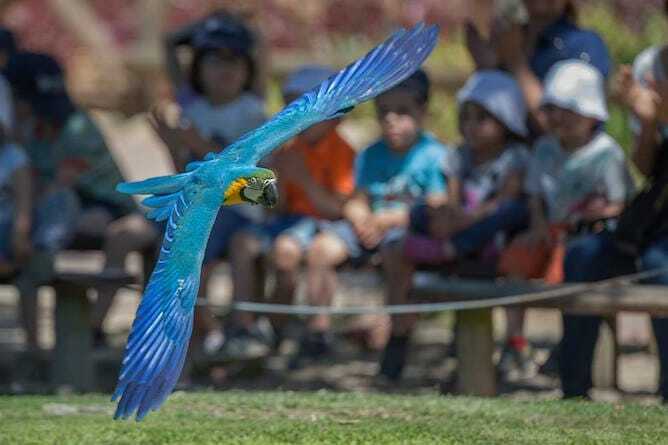 At Zoo Santo Inácio there’s also a tropical greenhouse, a reptile house and an Asian lion tunnel. It’s for sure one of the best activities in Porto for families with kids! There is also a combo ticket (2 adults + 2 children) for 39€. How to get there: check Zoo Santo Inácio’s website. One of the greatest activities in Porto for families with kids is to visit the interactive museum The World of Discoveries. It has large touch screens in various languages, for kids to play. There are many period dressed staff to explain interesting details on the Discoveries of Portugal. The cherry on top: when you take a boat ride to explore the different continents and countries that Portugal has discovered! You can buy an online ticket to the World of Discoveries in Porto, so that the price of the ticket is 11€/adult and 6€/kid. With this skip in line ticket you save 3€/adult + 2€/kid. How to get there: Get the bus 500 – check the itinerary here. Or simply take tram line 1 – find all the information on my guide to the tram lines in Porto. 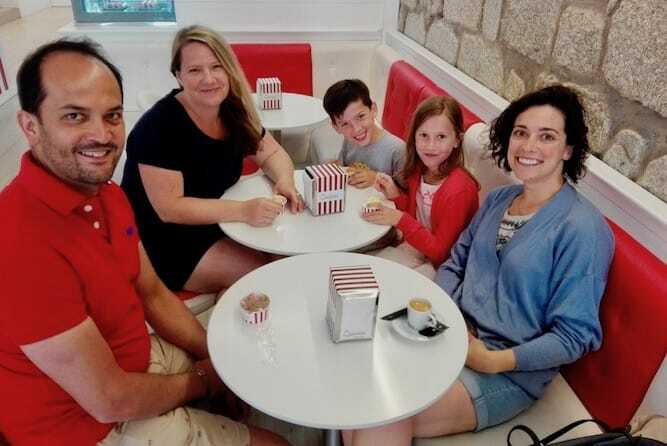 Taking the 6 bridges cruise in the Douro river is something that I do a lot during my family tours in Porto, precisely to give the kids a break from the historical walking parts or from the Port wine tastings. After all, for them it is much more fun to be up on the river waving to the people on the other boats, watching the waves breaking the boat or simply learning about all the beautiful buildings on the river banks. 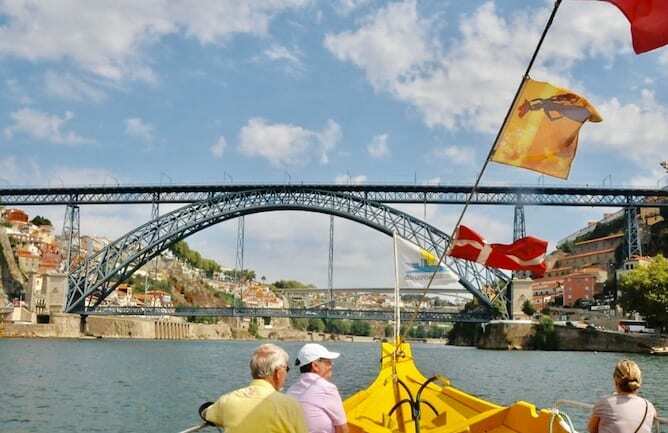 You can buy the online ticket to the 6 bridges cruise in Porto, and then you just need to print it and show it when you go on board. Please notice that this ticket is valid on any trip departing from Ribeira, on the side of Porto, and not in Gaia. Going to Foz is one of the best activities in Porto for families with kids, specially on Summer days. 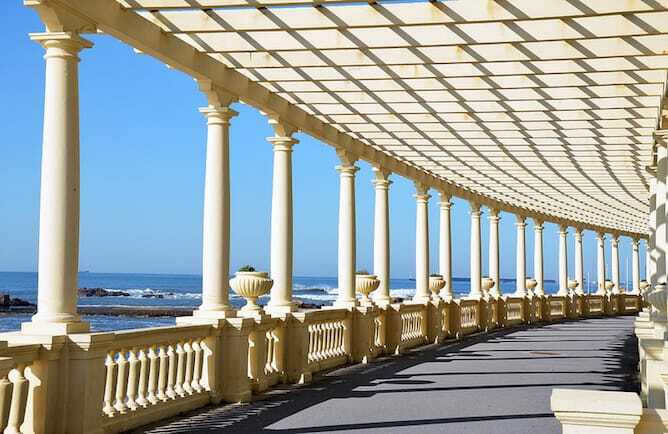 Foz is the neighbourhood where the douro river joins the Atlantic Ocean, and it’s the ideal place to ride a baby stroller. If your kids are a bit older you can rent bikes and go for a ride in Foz, it’s perfectly safe. To go for a walk or for a bike ride at Foz, the best area is between Jardim do Passeio Alegre and Castelo do Queijo. How to get there: Take the bus 500 – check the itinerary here. If you are not carrying a baby stroller, my suggestion is to take the tram line 1 all the way from Ribeira. It’ll leave you right at Passeio Alegre, and it’s one of the funniest activities in Porto for families with kids! Find all the information on my guide to the tram lines in Porto. 7. Practice your golf skills with your kids! One of the cheapest activities in Porto for families with kids is to go to the mini golf. The ticket is fairly inexpensive, and the location is great – at Passeio Alegre, a beautiful garden in Foz. 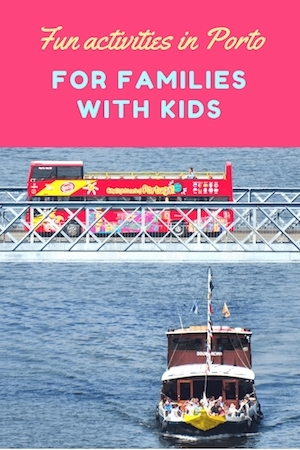 It’s definitely a must do with kids in Porto! How to get there: Get the bus 500 – check the here. Or take tram line 1 – find all the information on my guide to the tram lines in Porto. Tourists have this glossy idea that Porto is a great beach destination (I’ve heard it plenty of times! ), but it isn’t. The water on the beaches of Porto is extremely cold and fierce. Therefore, one of the best activities in Porto for families with kids is to go to the swimming pools in Matosinhos. My first recommendation is Piscina das Marés, designed by Siza Vieira. 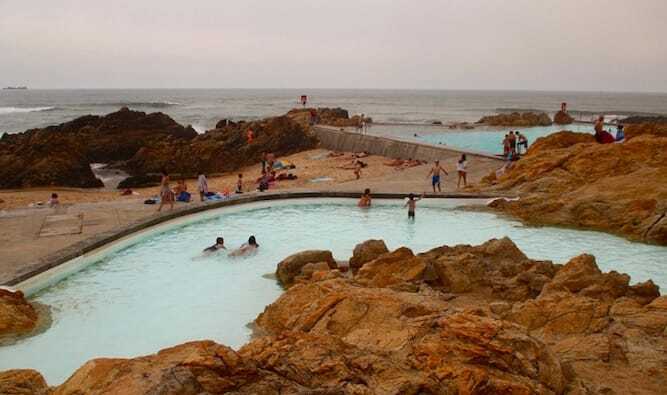 It is a beautiful swimming pool built on the top of the rocks, at the beach. The water comes straight from the ocean. It has a large swimming pool and a smaller one, designed for small kids. *Half a day period: [9am-2pm] OR [2pm-7pm]. 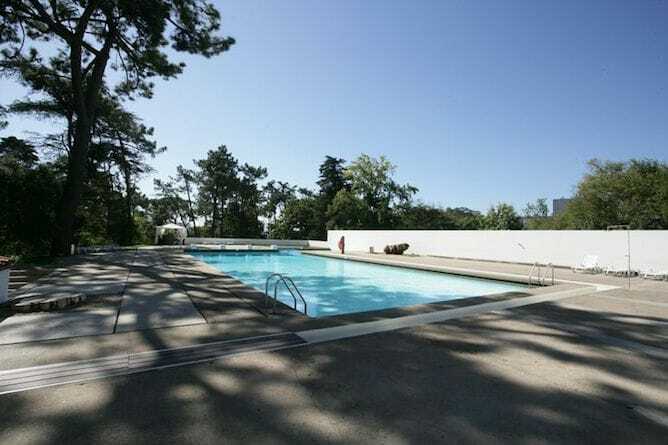 Another great pool is at Quinta da Conceição, a beautiful park with free entrance. It was also designed by Siza Vieira and the pool area is superb, with plenty of space for families with kids. I highly recommend you to go there with your kids, and to bring a picnic basket with you! Mon – Fri: Adult whole day 5€ | half a day-3,5€. Children Sat – Sun: Adult whole day 3€ | half a day-2€. How to get there: To both swimming pools you can get bus 507 (it has a stop close to Clérigos tower) and 601 (it has a stop close to Casa da Música). Check the schedules here. Porto is not the most pedestrian people city in the world, as car diplomacy seems not to apply to our streets. 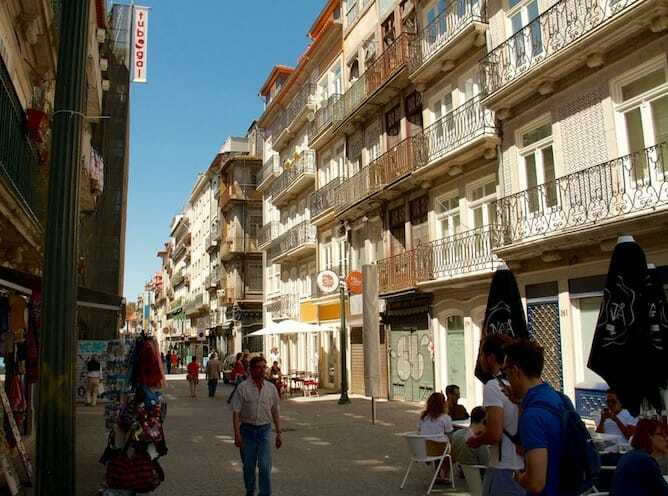 Nonetheless, there are a few pedestrian streets that are perfect to do some shopping, one of the favourite activities in Porto for families with kids. How to get there: The subway station São Bento is right at the beginning of Rua das Flores. You can also go with your kids to Rua de Santa Catarina. It is a large street filled with traditional stores, amazing bakeries and the very famous Café Majestic. How to get there: The subway station Bolhão is close to Rua de Santa Catarina. 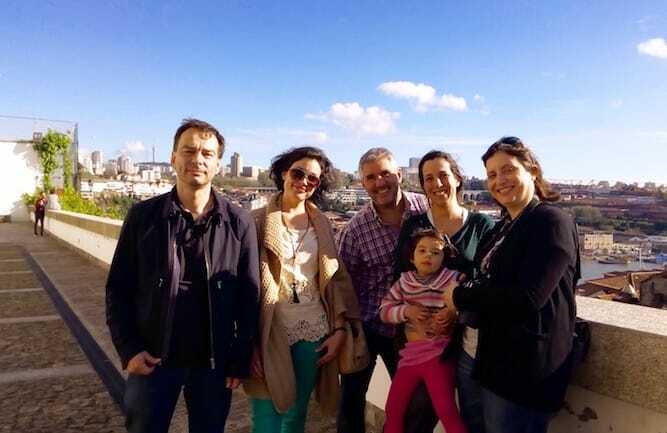 Why not surprise your loved ones with a family tour in Porto?